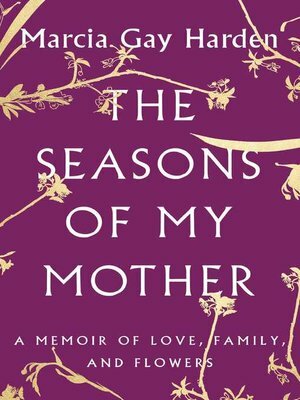 In this lyrical and deeply moving memoir, one of America's most revered actresses weaves stories of her adventures and travels with her mother, while reflecting on the beautiful spirit that persists even in the face of her mother's struggle with Alzheimer's disease. Using the philosophy of ikebana as her starting point, Marcia Gay Harden intertwines the seasons of her mother's life with her own journey from precocious young girl to budding artist in New York City to Academy Award-winning actress. With a razor-sharp wit, as well as the kind of emotional honesty that has made her performances resonate with audiences worldwide, Marcia captures the joys and losses of life even as her precious mother gracefully strives to maintain her identity while coming to grips with Alzheimer's disease.